A faculty member with a national reputation as an author, historian, essayist and political analyst will deliver the commencement address at the University of Wisconsin-Green Bay’s winter graduation ceremony on Saturday, Dec. 19. 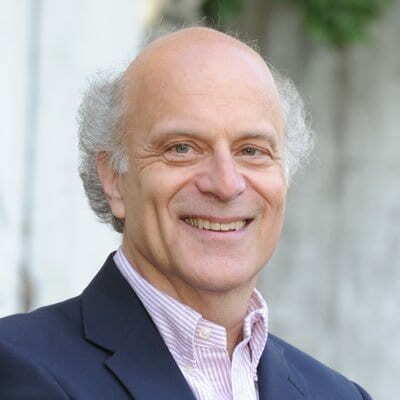 Prof. Harvey J. Kaye has chosen the theme “This Generation has a Rendezvous with Destiny” for his remarks to graduates and guests at the event, which starts at 11:30 a.m. in the 2,000-seat Cofrin Family Hall of the Weidner Center for the Performing Arts. Kaye is an award-winning professor of Democracy and Justice Studies at UW-Green Bay. He teaches courses in history, politics, and society. Since joining the University in 1978, he has steadfastly championed the liberal arts and UW-Green Bay’s brand of interdisciplinary, problem-focused education. Kaye’s most recent book, The Fight for the Four Freedoms: What Made FDR and the Greatest Generation Truly Great (Simon & Schuster), was named a must-read for 2014 by both Bill Moyers and The Nation magazine, positioning Kaye among the leading scholars of Roosevelt’s progressive legacy. On Jan. 6, Kaye will be featured speaker in Hyde Park, N.Y., at the FDR Presidential Library’s 75th anniversary commemoration of the stirring “Four Freedoms” inaugural address. He is also the author of the well-received books Thomas Paine and the Promise of America and Thomas Paine: Firebrand of the Revolution. His earlier work includes The British Marxist Historians, The Powers of the Past, and The American Radical. Kaye’s research into Paine — the radical theorist whose bold vision of American liberty helped inspire the nation’s founders (and presidential candidates to this day) — has made the UW-Green Bay professor a frequent guest on national talk shows including Moyers’ public television program, “Huffington Post Live” and the “Thom Hartmann Radio Show,” among others. His more recent work on FDR has expanded his role as a public intellectual bringing historical context to contemporary political analysis. Kaye’s guest essays have appeared regularly in the Daily Beast, Huffington Post, The Guardian, and The Times of London. Kaye founded the Historical Perspectives Lecture Series in 1985 as a way to personally introduce his UW-Green Bay students and others to leading thinkers in their fields. Journalist Richard Brookhiser, senior editor of the National Review and a respected voice of the conservative movement, was a recent guest. Previous lecturers have included Victor Kiernan, Dorothy and E.P. Thompson, Frances Fox Piven, Cass Sunstein and national columnists both liberal and conservative including E.J. Dionne, Michael Novak, Joe Conason and Eric Alterman. Kaye is a two-time winner of UW-Green Bay’s Founders Award for Excellence and a recipient of the Ben and Joyce Rosenberg Professorship. He earned his Ph.D. from Louisiana State University after receiving his master’s from the University of London and undergraduate degree at Rutgers University. The selection of Kaye as commencement speaker provides an opportunity to highlight the quality of UW-Green Bay faculty members as the institution marks the 50th anniversary of its founding. In 91 previous May and December commencement ceremonies, the featured speakers have most often been alumni, nationally prominent educators or public servants, and state or community leaders. Chancellors and other administrators have delivered the commencement address on several occasions; Kaye becomes only the fifth active professor chosen for the honor, joining Joyce Salisbury, December 1995; Lou Erdmann, May 1996; William Laatsch, May 2005; and Martin H. Greenberg, May 2006. This entry was posted in Headlines, News, News Releases and tagged commencement, Democracy and Justice Studies on December 9, 2015 by Christopher Sampson.